Ms. Diana Battaggia has developed a distinguished career holding political and leadership roles as a Member of the Italian Parliament and serving as top Advisor for economic and institutional affairs for a wide range of Italian and European companies and institutions. She combines leadership qualities, professional qualifications, diplomatic talent and knowledge of global economic environment in developed and developing countries with high‐impact practical working experience both within the United Nations and at a political level. Her leadership skills enabled her to set up and consolidate business networking synergies on a global scale between high­‐level government, business and academia officials as well as with multinational companies and SMEs, forging dialogue and full consensus around UNIDO thematic priorities. In this position, she successfully led the operations of the Office to contribute to the industrial development and economic growth of developing countries by identifying and mobilizing technical, financial and managerial resources to promote employment, economic competitiveness and environmental protection. In particular, she launched and implemented various initiatives to support SME development in Asia, Eastern Europe and Latin America through export promotion, enterprise upgrading and international partnerships.Under her direction, the Office was engaged in fostering food security and food safety, contributing to Millennium Development Goal (MDG) 1: To end poverty and hunger. To this purpose she brought together UNIDO and other main UN agencies based in Rome (FAO, IFAD, WFP) to cooperate at a global level in developing a common approach and mechanism linked to the agro‐and food-­chain sector. She also contributed to enhance food safety and food security by promoting investments and technologies through global forums in African countries.On her initiative, a framework Agreement on energy and environment was concluded with the Italian Ministry for the Environment, Land and Sea aimed at supporting green industry and renewable energy initiatives in Arab countries. Solid waste and waste­‐water treatment and management, air and ground quality as well as pollution control, energy efficiency and renewable energy were among the priorities of this Agreement. Throughout her work at UNIDO, Diana Battaggia has also been active in supporting women empowerment initiatives in Arab countries to make a substantive contribution to the MDG ti: Gender equality. In her capacity as Director of ITPO Italy, she contributed to increasing the reputation of the Organization not only in Italy, but also globally. In 2009, she was instrumental in ensuring UNIDO’s participation, for the first time in the Organization’s history, in G8 Summits related to Environment (Syracuse) and Energy (Rome). From 1998 to 2002, Diana Battaggia was Coordinator of the “Mediterranean 2000” Programme at the United Nations Conference on Trade and Development (UNCTAD). The main purpose of this Programme was to assist countries of the Mediterranean region in SME development and business partnerships in order to increase their competitiveness and enable them to access the EU‐MEDA free‐trade area. In 1994, Diana Battaggia successfully ran for a seat in the Italian Parliament. As a Member of the Chamber of Representatives she substantively contributed to the federal reform of the Italian tax system. Her dedication to the most vulnerable social groups drove her to promote, among others, a bill on countering violence against women and children, which was successfully converted into State law.She also acted as Parliamentary negotiator between the Government and the Prime Minister’s Office concerning the privatization of the EFIM (Entity for Financing of Italian Manufacturing). Diana Battaggia was responsible for reviewing public company budget adjustments and succeeded in the settlement of a final forfeit of a more than EUR 200 Million debt in favour of Italian manufacturing SMEs.As a Member of various Parliamentary Commissions, she championed affirmative actions in government policies, particularly by mainstreaming relations between Italian and international institutions and bodies while providing advice on policy reforms on a wide spectrum of political and judicial matters. In particular, as a Member of the Commission for Foreign and EU Affairs, she was in charge of examining EU regulations and their further incorporation into Italian national laws, as well as of the approval of the Italian Private International Law legislation reform.Amongst the positions held in the Parliament, she was also Rapporteur to the President of the Chamber of Representatives on all official state visits for UN affairs (Secretary General, Head of Agencies, etc.). From 1996 to 1998 Diana Battaggia was in charge of institutional relations at the Italian Business Association (Confindustria).As investment advisor to the Institute for Industrial Promotion (IPI), Italian Ministry of Industry, Commerce, Artisan‐work and Tourism, Diana Battaggia analyzed internationalization opportunities of Southern Italian SMEs, assessed on gender entrepreneurship and investment opportunities, and advised on economic and institutional matters for Italian and European companies in various industrial sectors. Diana Battaggia received her Master’s Degree in International Political Science and International Affairs from the Italian University of Padua and complemented her academic profile by further specializing in finance.In 1997, Diana Battaggia was appointed Assistant Professor at the University of Gorizia, Faculty of Political Science, where she served as lecturer and researcher in International Public Law. 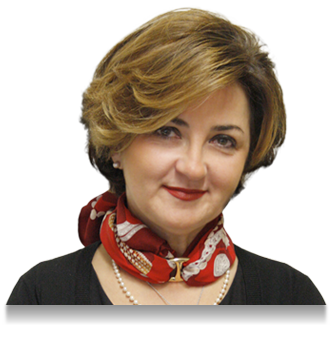 Diana Battaggia is the author of the publication “SMEs: an Italian Model to Export” (2008). She is also the author of various publications in newspapers and magazines on Italian and international politics and economics, as well as business partnerships. As a Member of the Board of Directors of the FOEDUS Foundation, Diana Battaggia actively engages in international and multicultural promotion programmes to strengthen social responsibility in terms of solidarity and cultural commitments of business entities worldwide. Diana Battaggia was born in Venice, Italy, in 1966. She is married and has two daughters and a son.